General Body Meeting | The Barristers' Association of Philadelphia, Inc. Appointed in December, 1998 by Governor Tom Ridge, unanimously confirmed by the Pennsylvania Senate, and elected to a second ten year term in November, 2010, the Honorable Sheila Woods-Skipper currently sits on the Court of Common Pleas, First Judicial District, Orphans’ Court Division, where she brings honesty, commitment and fairness to the bench. On November 4, 2013, Judge Woods-Skipper was unanimously elected by her colleagues to serve a 5 year term as President Judge of the Court of Common Pleas. As President Judge, Judge Woods-Skipper focused on promoting access to justice, inclusiveness and efficiency. She has an open door policy that allows open communication and problem solving. On January 27, 2016, Judge Woods-Skipper was appointed by the Pennsylvania Supreme Court as Chair of the Administrative Governing Board of the First Judicial District, and served until her term as President Judge ended in November 2018. From November 2008, until her election as President Judge, Judge Woods-Skipper served as Supervising Judge of the Criminal Trial Division where her assistance was instrumental in implementing the zoning of court cases and the creation of innovative programs in the Criminal Division that have fostered public safety, reduced prison population and increased efficiency in the processing of criminal cases. One of her many significant accomplishments is the creation of the First Judicial District Mental Health Court over which she presided until her reassignment to Orphans’ Court. Mental Health Court began as a small pilot program in 2009, and now serves hundreds of offenders, providing substantial assistance and oversight to facilitate their re-integration into society as productive citizens. Judge Woods-Skipper was previously assigned to the Homicide Program and served as the coordinating judge for the Waiver Program. She served as a member of the Judicial Education Committee, providing guidance and support to the newly elected judges and those transferred from other assignments. In 2014, Judge Woods-Skipper was appointed by the Supreme Court to the Advisory Council on Elder Justice where she chairs the Elder Abuse and Neglect Committee. In response to a recommendation of the Elder Task Force of the Supreme Court, Judge Woods-Skipper opened an Elder Justice Resource Center in October, 2016, to provide direct services to seniors, and education to the public regarding issues impacting seniors in the justice system. 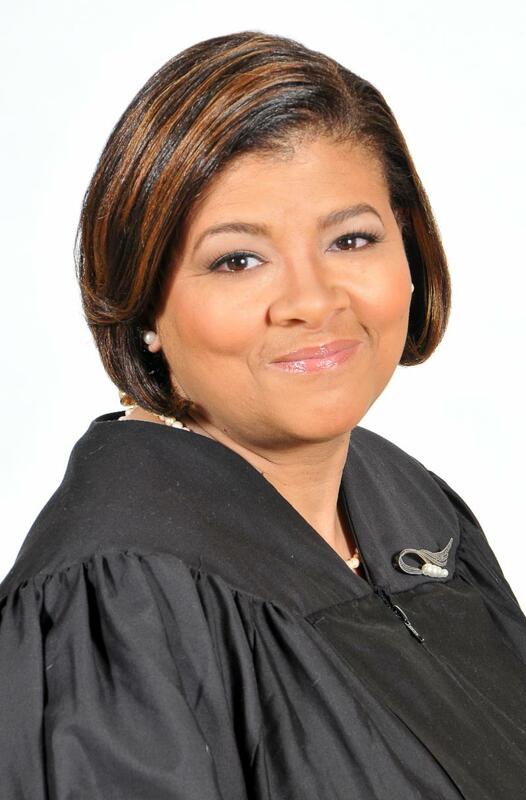 Judge Sheila Woods-Skipper is a native Philadelphian who attended Philadelphia High School for Girls, the University of Pennsylvania, and Temple University School of Law. Judge Woods-Skipper was a Judicial Law Clerk to the late Honorable Charles Wright, Court of Common Pleas and served as an Assistant District Attorney for Philadelphia County for 11 years. She is married and the proud mother of three sons, and grandmother of three. Judge Woods-Skipper supports her community and church by active membership in the Enon Tabernacle Baptist Church, THE LINKS, Penn Towne Chapter, and Alpha Kappa Alpha Sorority, Omega Mu Omega Chapter. She participates as a mentor in Girl’s Inc., Rising Stars Leadership Mentoring Program through Temple Law Alumni Association and the Girls Inc. Ambassador Leadership Mentor Program through The Forum of Executive Women. Judge Woods-Skipper served as the Former President, and on the Board of Directors of The Ivy Legacy Foundation, former Third Vice-President and Parliamentarian of the National Coalition of 100 Black Women, Inc., Pennsylvania Chapter, former participant in Advancing Civics Education [ACE] Program, Girls, Inc. Discovery Leadership Mentoring Program, and the Ivy AKAdemy Teen Mentoring Program. All attendees MUST RSVP in order to gain entry to the building. RSVP list will close at 5PM Monday February 11th!